NEW YORK (WABC) -- There is a recall alert for Whole Foods shoppers. Willow Tree Poultry Farm is recalling approximately 440 pounds of tuna salad products. The company says the products were misbranded as chicken salad. Tuna is a known allergen and it was not declared on the product label. 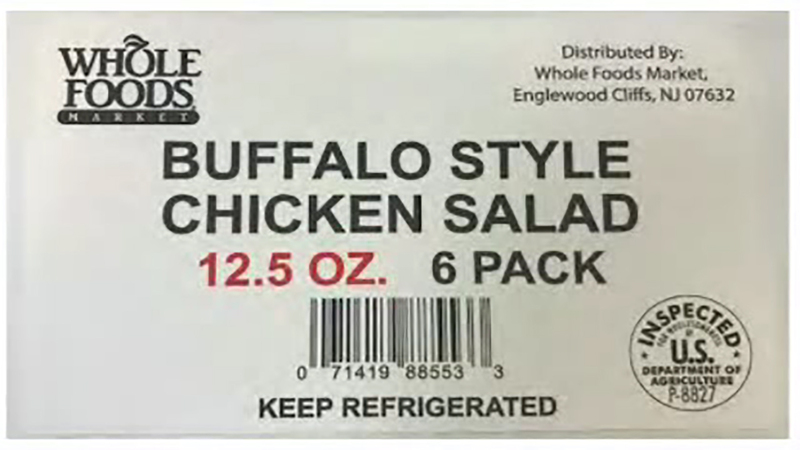 The product labeled 'Buffalo Style Chicken Salad' was sold at Whole Food stores in Connecticut, New York and New Jersey. The products subject to recall bear establishment number "P-8827" inside the USDA mark of inspection. The problem was discovered by Whole Foods Market employees while unpacking the product. There have been no confirmed reports of adverse reactions due to consumption of these products, the company says.